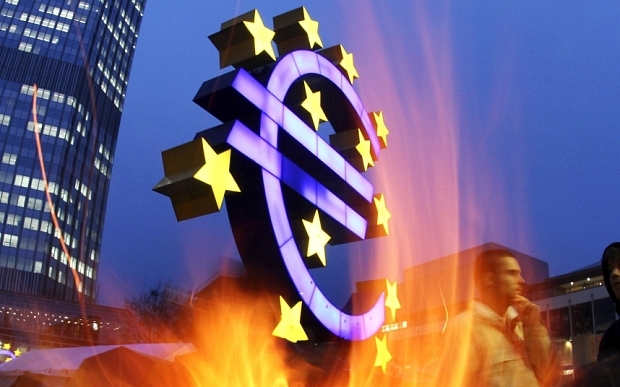 BBC AMERICA: Eurozone finance ministers have rejected a Greek request to extend a bailout programme beyond 30 June. Eurogroup head Jeroen Dijsselbloem said talks on a new bailout had been ongoing on Friday when Greece called a surprise referendum over the terms of any deal. Greece’s prime minister, Alexis Tsipras, is to travel to Brussels on Wednesday for critical talks with the country’s creditors as the outlines of the latest proposed deal to avoid bankruptcy threatened to unravel, worsening the intractable crisis. BBC AMERICA: If I had any doubts about the dire state of the Greek banking system, and why it matters so much for the Greek government to reach an agreement with creditors today to escape default, those doubts were dispelled in an interview with the chairman of Greece's fourth-biggest bank, Nikolaos Karamouzis. Mr Karamouzis confirmed to me that the European Central Bank (ECB) has agreed to keep Greek banks alive today. BBC AMERICA: Greece's central bank has warned for the first time that the country could be on a "painful course" to default and exit from both the eurozone and the EU. It comes as the Greek government and its international creditors blamed each other for failing to reach a deal over economic reforms. That failure is holding up the release of €7.2bn (£5.2bn) in bailout funds. About €30bn was withdrawn from Greek bank deposits between October and April, the central bank added. The central bank also warned the country's economic slowdown would accelerate without a deal. "Failure to reach an agreement would... mark the beginning of a painful course that would lead initially to a Greek default and ultimately to the country's exit from the euro area and, most likely, from the European Union," the Bank of Greece said in a report. 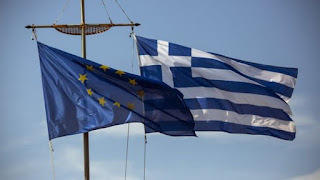 Fears that the five-year Greek financial crisis will culminate in debt default and exit from the euro have intensified as Athens hardened its rhetoric against its creditors and insisted it would miss a payment to the International Monetary Fund unless it received debt relief. With just 48 hours to go before a meeting of eurozone finance ministers, seen as the last realistic chance to reach a deal before Greece has to pay the IMF at the end of June, Alexis Tsipras, showed no sign of bowing to demands for cuts in pensions and increases in VAT. Instead, the Greek prime minister accused the Fund of “criminal responsibility” for the situation and said lenders were seeking to “humiliate” his country. Jean-Claude Juncker, the president of the European commission, reflected the anger in Brussels at the way Tsipras has been approaching the deadlocked negotiations by saying he had “sympathy for the Greek people but not the Greek government”. Juncker was until recently rated as one of Tsipras’s only allies. Greece is on the brink of economic meltdown after Germany appeared poised to push the country out of the eurozone. With the embattled country set to default on a €1.5billion (£1.1billion) debt repayment, senior German politicians warned that “enough is enough”. London’s FTSE 100 slipped 1.1 per cent to a three-month low on Monday as investors reacted to Greece’s failure to reach a deal with its creditors. Global oil prices also fell after negotiations collapsed after just 45 minutes on Sunday, amid fears that Greece is now heading towards financial catastrophe. As the crisis intensified, it emerged that George Osborne, the Chancellor, will later this week chair an emergency meeting as ministers seek to protect Britain’s economy from a potential Greek exit from the single currency - dubbed a Grexit. 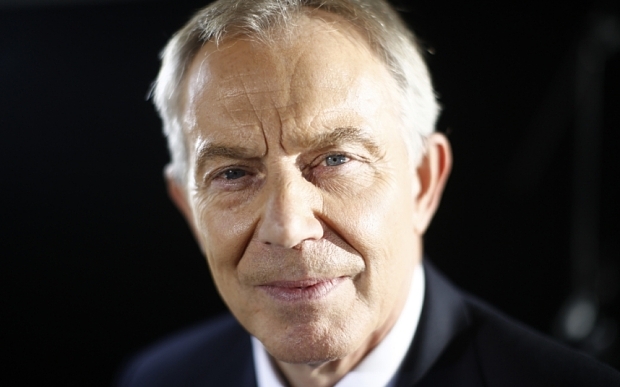 The documents show how Mr Blair has been visiting up to five countries a week – at a potential cost of between £14,000 and £16,000 to the public purse. One British ambassador described how a number of companies linked to Mr Blair, including his wife’s law firm, were “sniffing for work” in one European country. During the trips Mr Blair must be accompanied by a team of Metropolitan Police officers, whose salary, overtime, expenses, travel and meals are picked up by the taxpayer. The most complex trips involve eight officers of varying ranks, while at least four remain at his homes in Britain. Each of the 12 officers is likely to be earning at least £56,000, but can earn upwards of £70,000 due to the overtime they accumulate on foreign trips. BBC AMERICA: A Grexit (Greek exit) from the single currency would break a taboo and set a precedent, the former president of the European Commission Jose Manuel Barroso has told BBC HARDtalk. There was a possibility Greece would leave the euro, Mr Barroso said but he believed that it would not happen and trusted there would be "commonsense and wisdom" on the side of the Greek government and some "spirit of accommodation" from the other countries. THE DAILY TELEGRAPH: The Chancellor will use a speech at the Mansion House to commit to a new “fiscal settlement" to enshrine in law a commitment to permanently run a surplus. George Osborne will today pledge to ensure that Britain does not "give up on the future" with a new law to guarantee that the country always has money to spare in the event of an economic crisis. The Chancellor will use a speech at the Mansion House to commit to a new “fiscal settlement" to enshrine in law a commitment to permanently run a surplus. Mr Osborne will force a Commons vote on the issue in a bid to pile pressure on Labour to support the new rules. 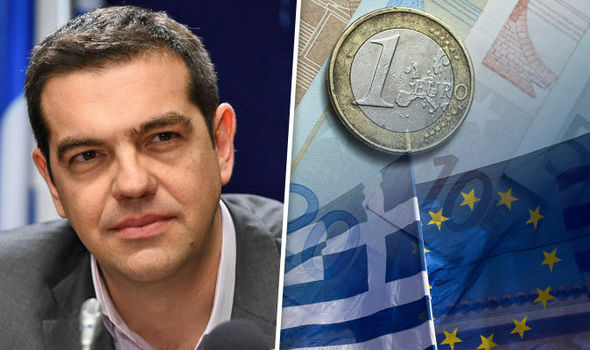 DAILY EXPRESS: IN a stark warning to EU leaders, Greece has warned that if it's allowed to plunge into bankruptcy it would be the "beginning of the end" for the eurozone. The debt-stricken country's Prime Minister, Alexis Tsipras, has raised the stakes as his government submitted yet another draft proposal to its creditors over the terms of an urgently-needed EU bailout loan. Commenting on a potential Greek exit from the euro in an interview in Italy, Mr Tsipras said: "It would be the beginning of the end of the eurozone. "If the European political leadership cannot handle a problem like that of Greece, which accounts for two per cent of its economy, what would the reaction of the markets be to countries facing much larger problems, such as Spain or Italy which has two trillion of public debt?" BBC AMERICA: Greece's prime minister has warned international creditors not to impose humiliating terms on his country as it seeks urgently needed bailout funds. Alexis Tsipras said negotiations were at a "critical" stage, but that the lenders' proposals were "not realistic". 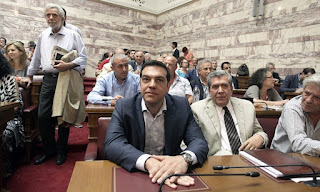 He was briefing parliament amid growing opposition in his leftist Syriza party to the creditors' proposals. Earlier Greece delayed Friday's €300m (£216m) debt repayment to the IMF. Mr Tsipras described the EU-IMF lenders' plan as a "bad moment for Europe" and a "bad negotiating trick". He accused Greece's lenders of massively backtracking on measures agreed in recent months, and of failing to see the need for an end to austerity in their latest offer. ARUTZ SHEVA: Partner owner Haim Saban says Orange gave in to anti-Semitic pressure in 'dumping' Israel, and warns of response. In response to the announcement Thursday by French-based cell phone company Orange that it wants to cut ties with Partner, the Israeli company that franchises its name in the Jewish state, Partner is considering launching a massive lawsuit against the company. Billionaire Haim Saban, the US-based majority shareholder of Partner, told Channel 2 on Thursday night that Orange "gave in to pressure from all sorts of anti-Semitic bodies. In every generation they rise against us to destroy us; we are strong and we will be unified and fight against them." The flare-up started on Wednesday, when Orange CEO Stephane Richard said in Cairo that he wanted to "dump" Israel "tomorrow" if he could. Given that Orange is partially publicly owned by the French government, Saban noted that "the French government should have gotten up and said its piece, and announce that it is completely disconnected from the statements of the Orange CEO."